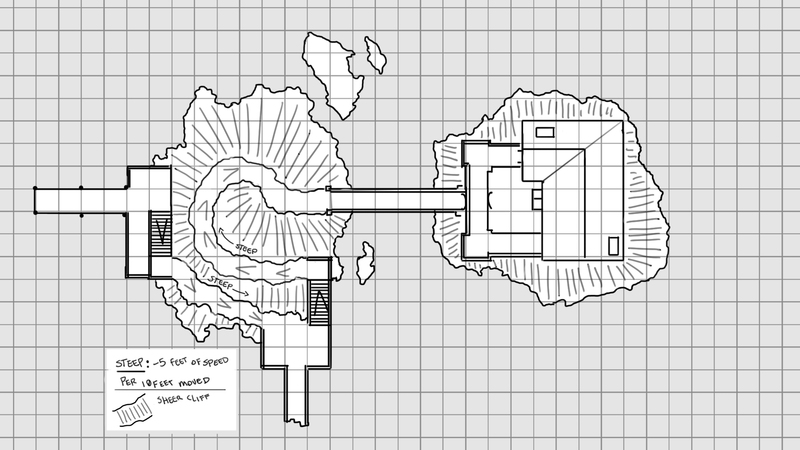 Another Monday, another set of maps! 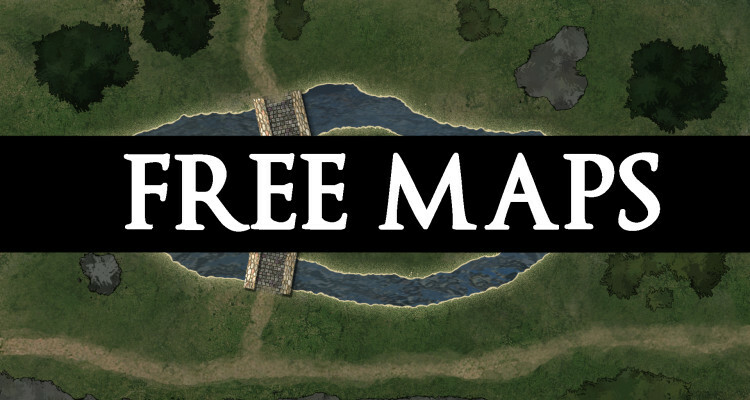 We have 2 battle maps this time, perfect for your next encounters! Perfect for a roadside ambush, or an encounter with a bridge troll, lots of cover behind rocks and trees. 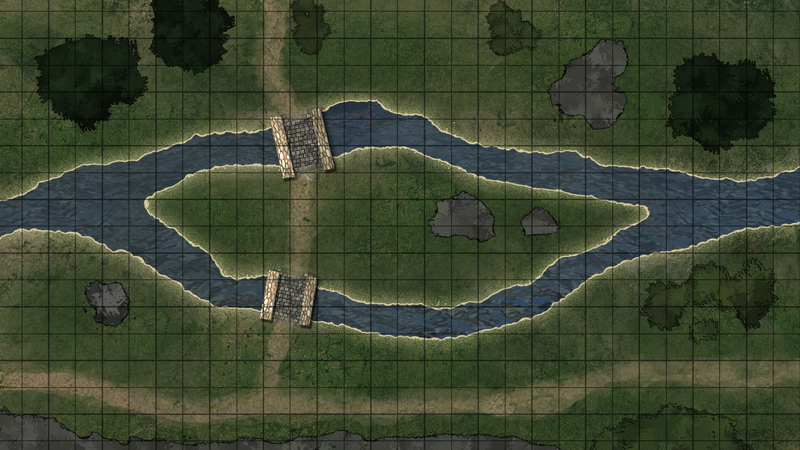 The bridges make natural encounter spaces, and the holme in the middle is perfect for artillery spellcasters or archers. Island lookout is an assault map, having players run up the steep cliffs with soldiers stationed at the major choke points while archers fire arrows down onto them. You could even have some boulders thrown, knocking people into the water down below if they don’t roll a successful acrobatics check. As always you can follow me on twitter @kennstan to suggest what maps you’d like to see next!